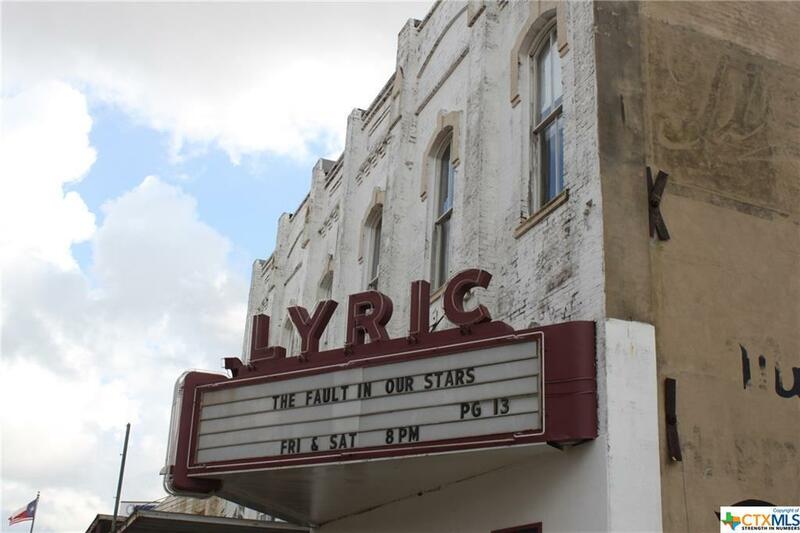 Own a piece of Texas history in downtown Flatonia. 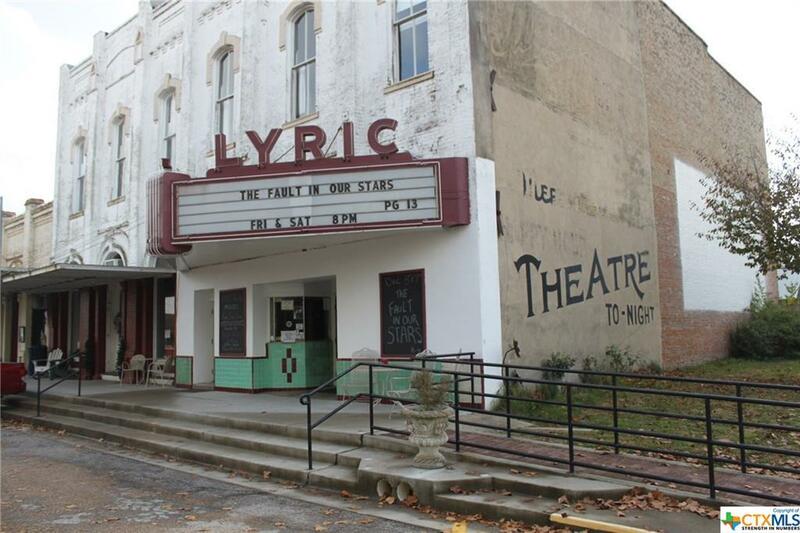 120 E South Main Street-The Lyric Theater is both a movie theater/event venue. 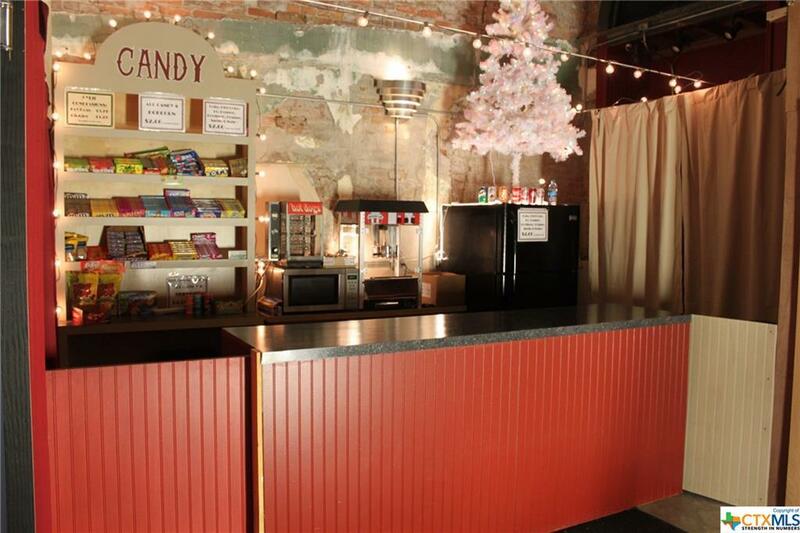 Theater seating and stage are moveable, transforming the area into an open room for weddings, and business meetings. The 2nd floor has the potential for up to 2 apartments. 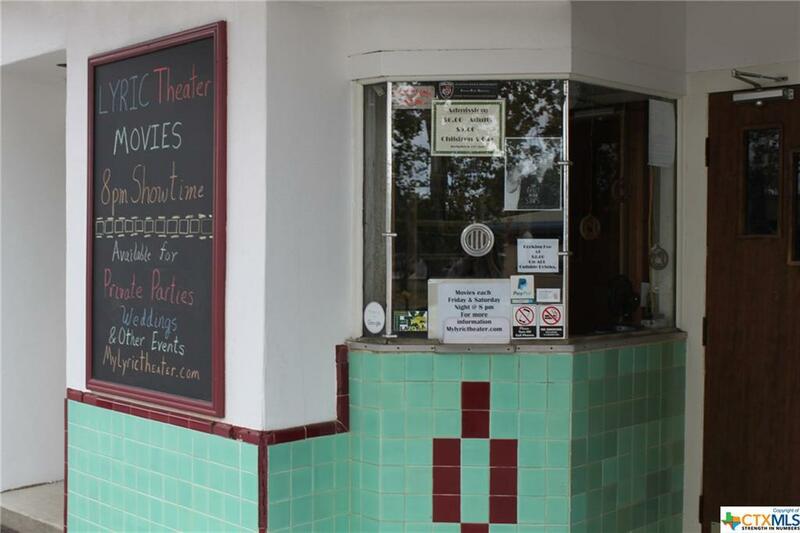 This oldest brick structure in town, in 2007 the present owner began the task of renovating the building and bringing the theater back to life, reopening in 2017. Theatre includes 16 foot ceiling, 84 new moveable theater seats, 160 person capacity, projector, etc. 122 E South Main Street-The first floor offers potential retail/office space. Recently renovated with an updated electrical system and 2 bathrooms, it is currently being used as a cabinet workshop/warehouse. Rough plumbing exists for a kitchen. The second floor has 3 occupied apartments featuring original architecture, new appliances, kitchens, and full baths. The entrance is recessed with a metal stoop and double wood doors.